Nobody likes a good firing better than Vermont potter Carolyn Emerson—but a grisly discovery in her own backyard may be too hot to handle. It's easy enough to misplace a clay piece in a busy paint-your-own-pottery store like Fire at Will. Misplacing a person, however . . . ? Carolyn certainly can't explain how or why renowned ceramics artist Charles Potter disappeared en route to an appearance at her shop. But everyone's really thrown when the man finally turns up—and turns out to be none other than her assistant David's long-estranged father and the conniving ex-husband of Carolyn's best friend, Hannah. If Richard Atkins (a.k.a. Charles Potter) thinks he can just waltz back into Maple Ridge and smooth everything over, he's got another thing coming. Unfortunately, that thing turns out to be murder . . . in Carolyn's Raku pit, no less. 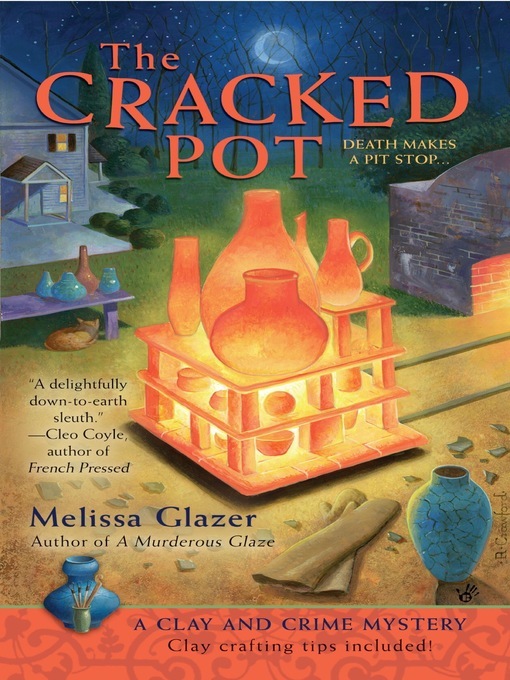 Now, with David and Hannah prime as the suspects, it's up to Carolyn and her friends in the amateur potters' group the Firing Squad to crack the case—before it explodes in their faces. Includes instructions for a woven clay bowl project!